Baghdad (AFP) – Iraqi Prime Minister Haider al-Abadi will attend parliament on Thursday for a vote on a new cabinet lineup, after two previous sessions ended in chaos, the speaker’s office said. 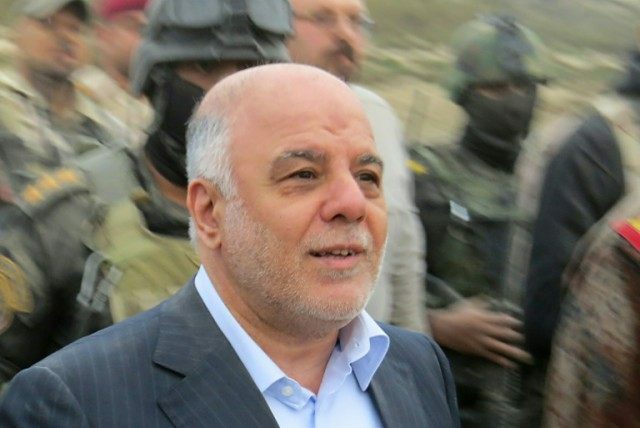 Abadi has called for the current cabinet of party-affiliated ministers to be replaced by a government of technocrats, but has faced significant resistance from the powerful parties that rely on control of ministries for patronage and funds. The political row comes at a critical time for Iraq, which is battling to regain more ground from the Islamic State jihadist group, while also facing a major financial crisis. An emergency session on Wednesday ended with lawmakers shouting, shoving and throwing punches in the parliament hall, leading speaker Salim al-Juburi to call a recess. Juburi, political bloc leaders and Abadi agreed “on the prime minister’s attendance of the scheduled parliament session (Thursday) to present final adjustments to the ministerial cabinet and put the candidates to a vote,” the speaker’s office said in a statement. Abadi only occasionally attends parliament sessions. He presented a first list of cabinet nominees at the end of March, but the political blocs put forward their own candidates, and most of the premier’s original list was replaced on a second presented to MPs on Tuesday. Some MPs demanded the opportunity to vote on Abadi’s original list — from which at least two candidates had already withdrawn — but the session was adjourned Tuesday without a vote. Dozens of lawmakers then began a sit-in and spent the night at parliament. MP Iskander Witwit said the sit-in was still ongoing as of Thursday, but that could not be independently confirmed. “Undermining, further discrediting Abadi, and Juburi for working with him, was the goal,” said Kirk Sowell, a Jordan-based political risk analyst who is the publisher of Inside Iraqi Politics. “And in that regard, they’ve had some success,” he said.